Her challenge is: Make a card/project that uses no words on the front yet signifies love. What a great verse and challenge this week! Of course my first thought was to make a Valentines Day card but as I thought about it, this verse that is on the inside of my card kept coming to mind.... Greater love has no one than this, that a man lay down his life for his friends. (Jn 15:13) I tried to make a valentine and nothing would come because I knew this was the verse I needed to share today. The love we share with our family, friends and spouses here on earth may seem like the strongest kind of love there is... so intense at times we can't even bear the thought of being without them. However, our earthly love doesn't even compare to the love God has for us! His love is totally unconditional... in fact it has nothing to do with our behavior at all! He loved us before we were even born! He loved us so much that He gave the ultimate sacrifice... He sent His one and only Son to bear our sins on the cross, so that we could be cleansed, forgiven and able to have a relationship with Him! We will never understand the cost of what Jesus did for us! We know He suffered terribly with rejection, beatings, scourging and dying in the most painful way possible... but the pain of leaving His position in Heaven and being separated from the Father, and the pain of bearing the sins of the world on His own sinless body is more than our finite minds can comprehend.... yet He loved us that much! So... as I thought about love and a symbol of love, I decided the cross was the greatest symbol I could share. 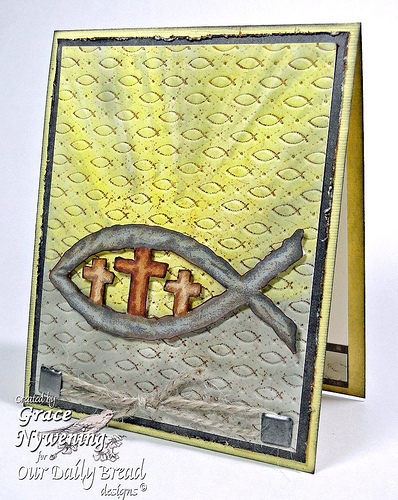 The image on my card is from this month's Our Daily Bread designs release and is the "Stone Fish". 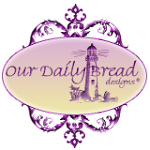 The Scripture on the inside is also Our Daily Bread designs and comes from the Friendship set. I stamped the verse on white and splattered distress inks on in various colors using a stiff bristled paint brush. My base is Bazzill and the gray designer paper is Pink Paisley Queen Bee. I colored the image with Copics and cut it all out, including the inside background around the crosses. I created the background by running a piece of Georgia Pacific white cs through the Grand Caliber with the ODBD Fish Embossing plate, inking the negative side with Distress Ink. I then colored the rays of light along with gray to represent the darkness with Copics. The Bible says that Jesus is The Light of the World. When He died, there was darkness, but we know He did not stay in the grave... but rose again, victorious over death . Because of this knowledge we have assurance that if we have placed our faith in Him and Him alone... we too will live in the light of His glory! So much joy is ours today because of His love! Just as He demonstrated His love for us... He tells us to love others with a self sacrificing kind of love! Words of love are nice to hear... but it's actions that really convey love! Our sponsor this week is Clear Dollar Stamps! 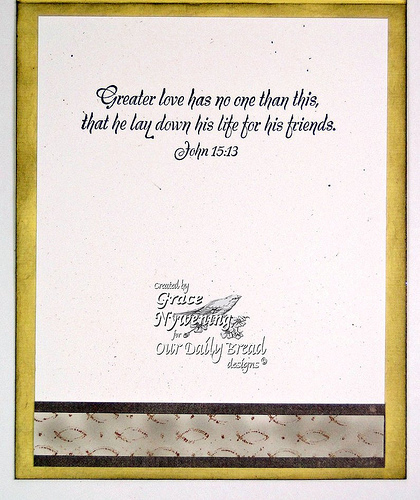 Lori has a wonderful line of stamps with many Christian sentiments and Scriptures as well! Be sure to stop by her store to see it all! The prize this week is a $15.00 credit to the CDS Store! We want to thank Clear Dollar for their support of Stampin Sisters in Christ! 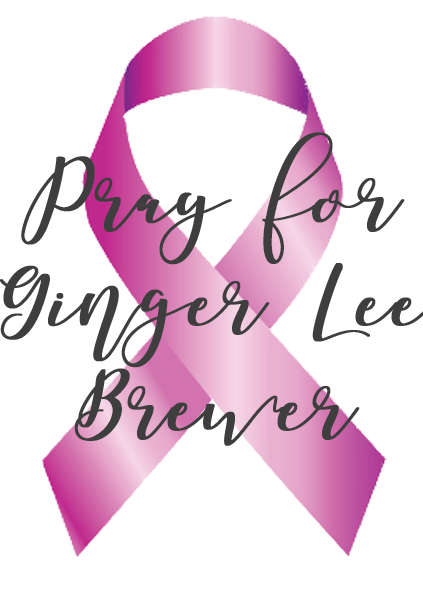 Stampin Sisters in Christ Challenge Blog! Thank you for dropping by today! Have a blessed week! Wow Grace! That card is fantastic! The inside is perfect and I really like what you wrote! Someone is needing to see this before tomorrow - you always listen to Our Father and He uses you for so much good! Have a wonderful week dear friend. Grace you have made another lovely card, I just love the words you used for this card. I'm so happy I found your blog the inspiration and your kind words keep me smiling. Yes, Grace! Amen! :) Thank you!!! Beautiful card Grace, and beautiful insight. hi drace. what a beautiful card you did. what you wrote is perfect! im so glad you joined us over at SGC. hugs! Lovely, as always. The techniques with the coloring, with the illusion of sunrays, is magnificent. Very creative and always honoring Him. I love your inspiration. Very pretty. I love it. 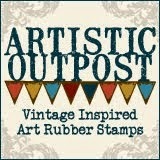 Thanks for joining us at Stamping With The Dragon. This is gorgeous Grace. I just love the yellow and the rays symbolizing our hope and love because of Jesus' death. Great job with the fish background and fish!! Awesome masculine card. I always enjoy reading your words. What a lovely card and for the words you shared - really hit home today! Oh my goodness, Grace - your card is stunning! I love that background - and your fussy cutting is fabulous! This should be in a frame for all to see! Thank you for your words of wisdom, as well. I always enjoy reading your thoughts on the scriptures each week. Have a good week, my friend! Great card with fabulous and very unique embossing. Thanks for joining us at Phindy's Place. Wonderful card Grece, love the colors! Wonderfully done Grace, I like the light behind the fish also. so glad you entered it in Phindy's challenge, thanks for joining us! Wow! I love to read what you have written. And, don't worry...we know where you found your answers...in His Word...the Holy Bible. You share so eloquently! Your card is fantastic! I really love the colors...and the symbolism. And, it really is a Valentine's card of sorts...it is of the greatest love story every. It is of His love for each of us! Grace the crosses and background behind them are so wonderfully colored, and so meaningful. This stamp brings me to tears. It reminds me that there is so much to be grateful for. Those rays of light are beautifully done...by a wonderfully talented woman. Grace it is always a blessing to read your words, you have great insight to share and lay out the gospel message as clear as clear can be! Thank you for that and this lovely creation! What a fabulous expession of God's love this card depicts- really uplifting to see a diferent take on our challenge. Thanks for joining our Valentines/love challenge at Cards for Men. Fantastic card! Love the inside as well! What a great card and you are right the words are lovley. Thank you for joining us at Bearly Mine and good luck.